: Kotak Asset Management Company Ltd. (Kotak Mutual Fund), which has seen an encouraging financial year, completed two decades of existence in December 2018. The fund house has been expanding its foot-prints across distribution networks in Rajasthan, which has 67% of its assets with equity component. 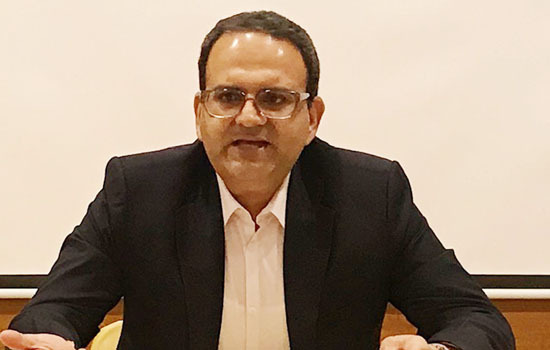 Manish Mehta, Head Sales and Marketing, Kotak Mutual Fund said, “Mutual funds have emerged as a popular investment vehicle for investors over the last couple of years. The industry has seen encouraging growth in AUM in the past one year. We continue to witness flows across equity, fixed income schemes.SIPs continue to be the key driver for equity sales. Continued awareness, education on benefits of systematic investments, disciplined approach, cost averaging has resulted in the SIP book growth. We expect this trend to continue. Given the impending elections, markets could be volatile but there are times when increased equity allocation could help yield better returns over long period of time”. Steady scheme performance and focused product strategy have contributed to Kotak Mutual Fund’s success.' Kotak Standard Multicap Fund (Erstwhile Kotak Select Focus Fund), Kotak Equity Opportunities (Erstwhile Kotak Opportunities), Kotak Bluechip Fund (Erstwhile Kotak 50), Kotak Emerging Equity, Kotak Equity Arbitrage and Kotak Credit Risk Fund (Erstwhile Kotak Opportunities Fund) are some of the popular schemes in Kotak Mutual Fund’s product basket. The fund-house is actively involved in educating investors on how to create wealth through SIPs. It continues to create awareness on mutual funds, financial planning through its Investor Awareness initiatives. By working closely with its distributors and partners, Kotak Mutual Fund endeavours to continue on this educative expansion path. To ease investment planning, Kotak Mutual Fund recently launched a mobile-first application ‘Let’s Plan with Kotak’. The platformhelps consumers find customised goal driven investment options – on their mobile handsets, anywhere and anytime.Kotak Mutual Fund has also launched Prostart video based programs on financial planning and softer aspects of sales.For easy client onboarding, Kotak Mutual Fund recently launched the Video KYC module on their app. Currently, KMF has over 11 lakh SIP accounts through which investors regularly invest in its mutual fund schemes. Kotak Mutual Fund is currently present in five locations across Rajasthan with support from over 2095 channel partners. Its strong sales and investor relations team works closely with distribution partners across banks, national distribution and Independent Financial Advisors (IFAs) with equity investments contribute almost 54% of the overall AUM in Rajasthan.